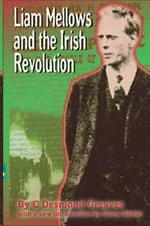 Historical Perspective | The final letter of Liam Mellows. Who changed what? « Come here to me! Fascinating, interesting and intriguing post this! Recently, I saw the letter below. It is the final letter of Liam Mellows, the letter published above in Graves biography. It comes from the personal papers of Paddy Kelly, whose father was a republican prisoner in Mountjoy at the time. Look closely at it however. There are a number of clear edits made to the letter, for example the first line, where “to my very dear comrades…” becomes “to my dear comrades”. “God bless you,” becomes “God bless you boys” and the word “and” is added at various points, replacing the & symbol. At the end of the letter “Irish first” is added and underlined next to Liam’s name. The final letter of Liam Mellows. Who changed what? « Come here to me!. Written by: Eoinpurcell on 16 January, 2011.